What does this launcher upgrade do? 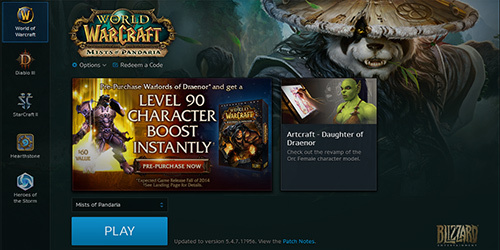 You can use the app just like the previous World of Warcraft launcher, but Battle.net offers some handy additional features and functionality. You’ll be able to install games and patches directly from within the app and—if you choose to leave the app running on your desktop—keep them up-to-date automatically even when you’re away from your computer. It’s entirely up to you if you want to leave the app running, and you can exit it at any time. You’re also able to manage each update manually by pause and resuming again when you’re ready. The new single sign-on functionality allows players to log in to the desktop app once to access World of Warcraft, StarCraft II, Diablo III, Hearthstone, and the upcoming Heroes of the Storm. This way, you can play any of your Blizzard games directly from the desktop app without having to enter your login credentials every time you want to start a game. In addition, you also have the option to stay logged in for up to 30 days, so you won’t need to re-verify your credentials every time you start the app. 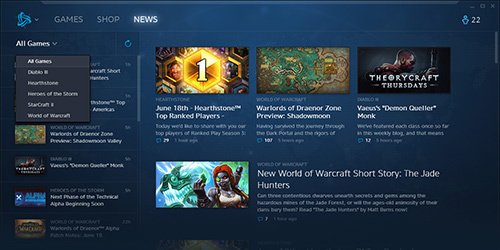 It’s easy to keep up on all of the latest developer insights, previews, community news, and more in the News section right within the Battle.net app. The app allows you to see all game news or sort by the game you’re most interested in. Chat with Battle.net friends. Open a chat window on your desktop. Your messages will show up in any Blizzard game your friend happens to be playing at the time. Send and accept friend requests. 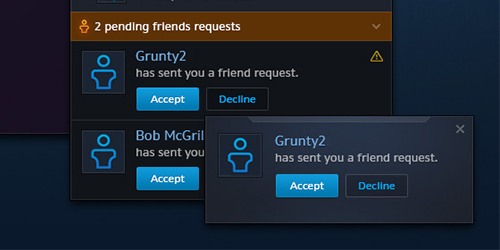 Click the Add a Friend button and enter your friend’s BattleTag or email address to send them a friend request, or use the new People You May Know list. You can also right-click a friend’s name for more options. Add Favorite Friends. Drag a friend’s name to the new Favorites section of your friends list, keeping your closest friends even closer. For more information, check out the FAQ and read the Battle.net EULA. *Please note that after this upgrade, all Blizzard games will be launched exclusively through the Battle.net desktop app.